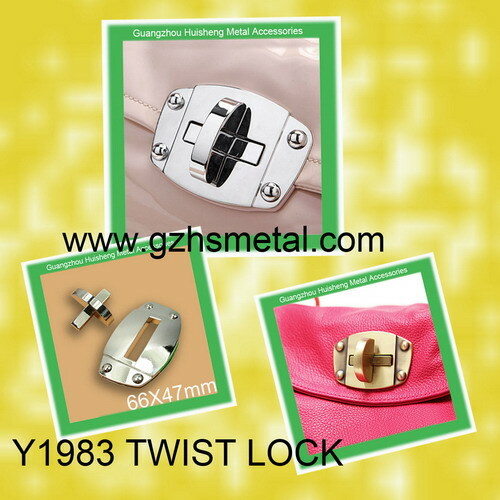 Purse twist turn locks can look very professional on bags and clutches; as a design feature they really do add interest and they make your bags secure too. This is a tutorial on how to apply them to your bags and purses. They are easy to use and they give brilliant results. Twist locks work best when your bags are made from several layers (for example, your chosen fabric and a combination of interlinings); this is because twist turn locks have a little weight to them and your purse needs to be able to support the weight without sagging. 1 Make two slits for the twist button. Apply the twist button before you do any sewing. Interface/interline your fabric now. Mark the desired position of the twist button onto the bag front fabric piece. Take the twist button and press the prongs into the fabric so as to make two indents in the fabric, if you like you can go over these indents with pen so you can see them more clearly. 2 Apply the twist button. Take a stitch ripper and carefully make two tiny slits into the prong markings. Push through through all of the layers. Push the prongs of the twist button into the right side of the fabric, slip the metal washer over the prongs (at the wrong side) and then press the prongs down away from each other with your thumb. Be sure to double check that the button is straight (and not wonky) before you push the prongs down! Push prongs down away from each other. Be nice and firm with it to ensure the button will be well secured into the fabric. 3 Mark the twist plate position onto your bag/purse/clutch flap. Make up your bag flap. Finish making your bag and place your flap over the twist button and mark the position where the flap falls onto the twist button. 4 Unscrew the screws on the front plate. 5 Make an ink mark. When you’ve unscrewed the plate, you’ll see that one half of the plate has a raised lip. Get an ink pen and draw on the raised lip (including the lip around the outer-side of the screw holes) like in the picture. This will enable you to press the lip onto the bag front to get an ink imprint which will serve as the cutting guide. 6 Press the lip onto the plate marking. Draw around the ink imprint with pen if necessary. 7 Cut a hole for the twist button. Using the cutting guide just made in the previous step, use small sharp scissors to cut a hole that is slightly smaller than your ink imprint. It is very important that the hole is slightly too small or the twist plate will not be secure. Cut a bit and test, cut a bit more and test and so on. Don’t worry, go slow and all will be well. 8 Assemble the twist plate onto the bag flap. Sandwich the fabric bag flap in between the front and back parts of the twist plate (at the hole you have just made) and screw the back of the twist plate to the front plate. 9 Ensure that there is no fabric showing through. Pull any stray fabric away from the hole if necessary. Using cheap hardware is a false economy. 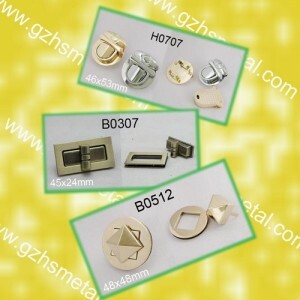 Hardware and locks must conform to REACH standards. Any substances that are on the RSL (restricted substance list) cannot be used. 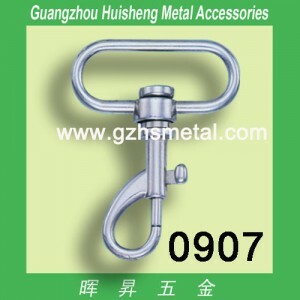 Hardware and fittings must be fit for usage purpose. They must be free from contamination, oxidation and all other types of degraded corrosion – Tarnishing, pitting and rusting. 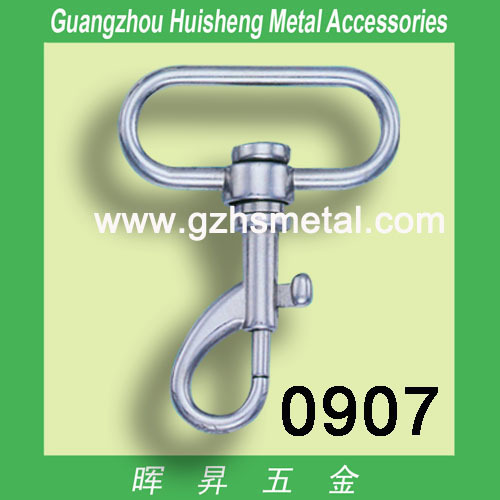 All metal must be free from nickel and ferrous release. Hardware must be tested to the relevant EU or US standards. . Storage & humidity can affect plating. All plated products must be correctly stored. All hardware should be doing twice inspection before delivery. Rejected hardware must be segregated and stored in a separate, clearly marked area. 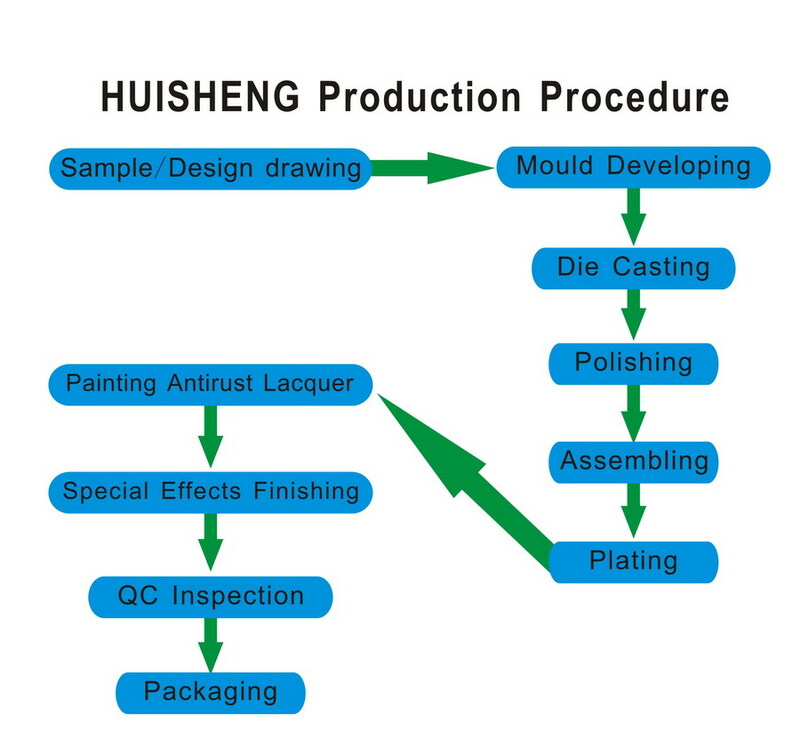 Lacquer hardeners are acceptable to be used to protect the plating from corrosion. However this must be through electrification and not through spray application. Ensure that correct cross linking is provided whilst lacquering any hardware. 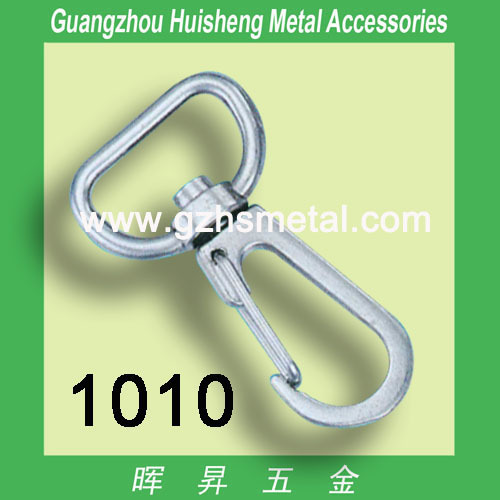 The plating finish of the hardware must match with all elements of hardware and locks within the bag, unless specified by Design/Buying. All locks must be inspected prior to use in production. 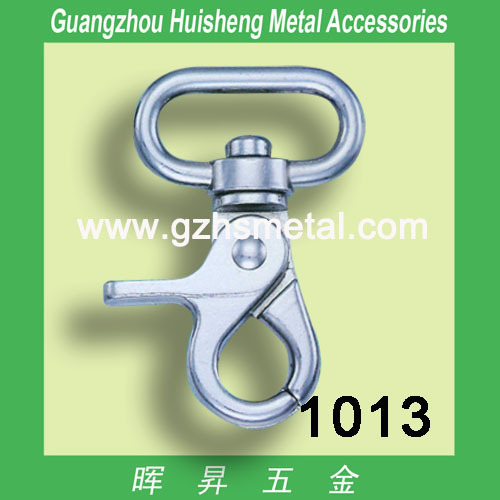 It is a requirement that 100% inspection is carried out and locks that are not fit for purpose are not used in production. Screw heads must be sufficient in length to pass through all layers of material with enough of a tolerance to screw into the front plate. Screws to be locktite glued as well. Ensure that both parts of the lock open and close smoothly. Each part must be deep enough to accommodate the other part. All screws used in attaching fittings must be fit for purpose, fit securely and be matched in colour and finish. The screws on the back plate must be substantial enough to support the weight of the lock. 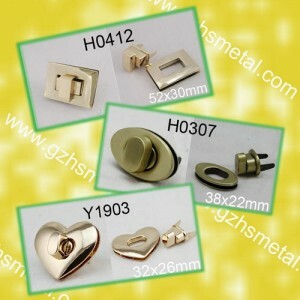 Screw heads must be flush to the fitting and not cause damage the main body. When using any plate ensure that the screw length is correct. 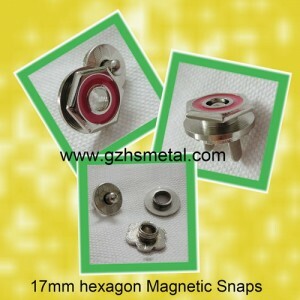 Screw heads must be free from rough/sharp edges. 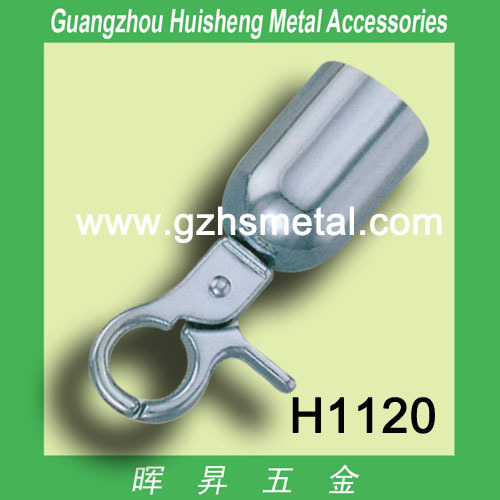 Here are some photos of the new metal bag locks for your reference from Guangzhou Huisheng Metal Accessories Manufactory.Any interests,pls kindly contact me with the below email:sales02@gzhsmetal.com. We will attend APLF fair in Hong Kong during Sept.27-29, 2012. Our booth number is 3F-A27. 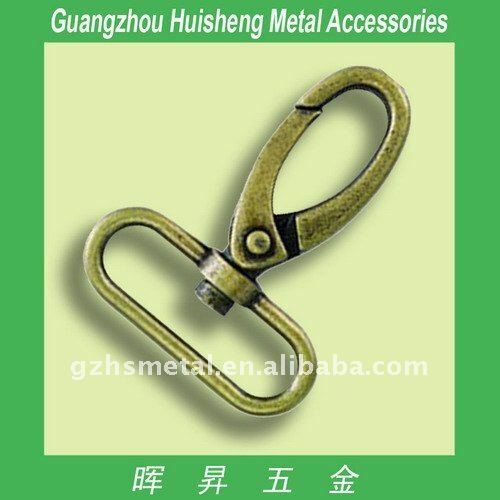 Please visit www.fashionaccess.aplf.com for details about this exhibiting.Welcome to our booth for a visit if you have time.There will many new metal accessories shows then. This year there are many new samples for your reference.Any interests,pls feel free to contact me through the below email:sales02@gzhsmetal.com. How a good lock is made? 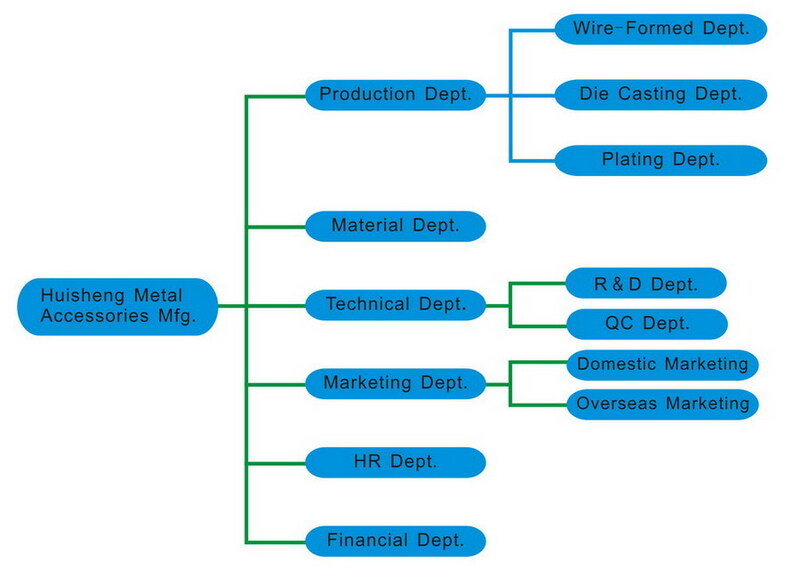 The selection of raw materials is one of the key factors for successful products. 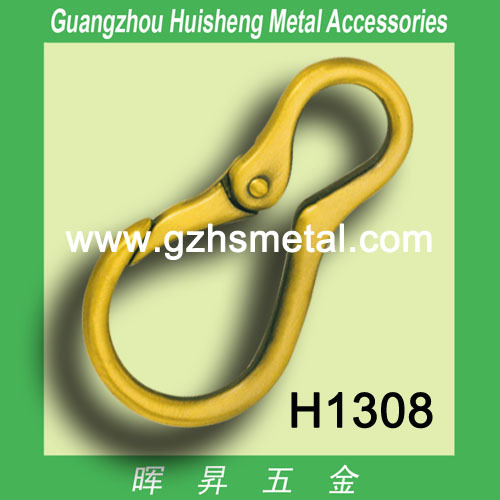 We (Guangzhou Huisheng Metal Accessories Manufactory) have strict principle in this aspect. From the places of origin of raw materials, the transportation to the warehousing environment for raw materials, all these show the spirit of ” Precisely selecting and precisely manufacturing” of our people. Additionally, we scientifically selects different raw materials and different ingredients according to different product characteristics. Therefore, its products satisfy market demands better. 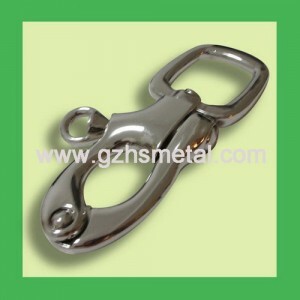 The safety of a good lock is largely decided by the tightly combination of all its parts. The last process step is always the most difficult one. We modern flow line assembling mode not only increases the dialy production output, but also improves the quality of the products as well. 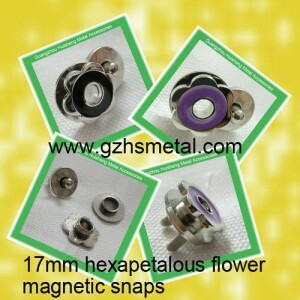 We well known that: quality pruducts can not go without splendid packages! A dedicated group is specially allocated for the important lacquering process step in the lock production process and it inspects our locks with toughest criteria. We makes all efforts to treating all details flawlessly and thoroughly in order to manufacture every quality professional lock. We hereby sincerely invite you and your company representatives to visit our booth at HongKong Convention&Exhibition Center during Mar.28-30,2012.We’re one of the manufacturers specialized in metal accessories,including zipper puller,metal lock,snap hook,metal buckle,purse frame,eyelets,rings,snap button and so on.Our new models offer super design and their new features give them distinct advantages over similar products from other manufacturers.